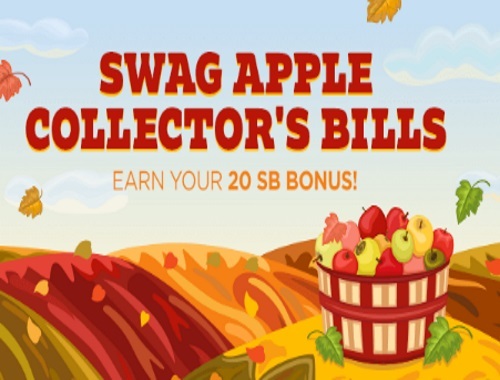 Fall is here and Swagbucks has a new Swag Apple Collector Bills promotion on now! When you collect all 5 special Collector bills while searching on Swagbucks you will earn a 20SB bonus! What happens when I get a Collector’s Bill? When you get a Collector’s Bill you’ll receive the value of the bill and the bill will be added to your “Collector’s Bills” ledger. Collect all 5 Collector’s Bills and you’ll instantly earn a 20 SB Bonus! Is it possible to collect the same Collector’s Bills multiple times? Yes, you could collect any of the Collector’s Bills multiple times.